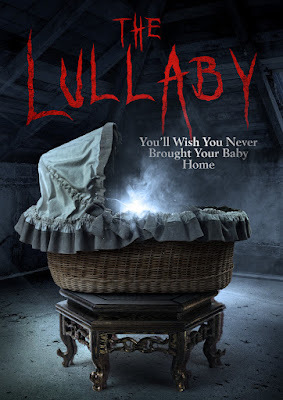 Uncork’d Entertainment gives birth to evil with the chilling "The Lullaby," in theaters and VOD March 2. Chloe is overwhelmed by the birth of her first child. The incessant crying of her baby, the growing sense of guilt and paranoia sends her into depression. With a heightened urge to protect her son, Chloe sees danger in every situation. She starts to hear voices, the humming of a childhood lullaby and sees flashes of a strange entity around her child. Convinced that the entity is real, Chloe will do everything in her power to protect her son. Is she haunted by evil or is it just the baby blues? Reine Swart, Deànré Reiners, Thandi Puren, Brandon Auret, and Dorothy-Ann Gould star in a Darrell James Roodt film, opening in theaters across the U.S and available on VOD March 2.